The silent demonisation is striking in many states as ATMs runs dry making us remembering cash crunch due to note ban on 8 November 2016. 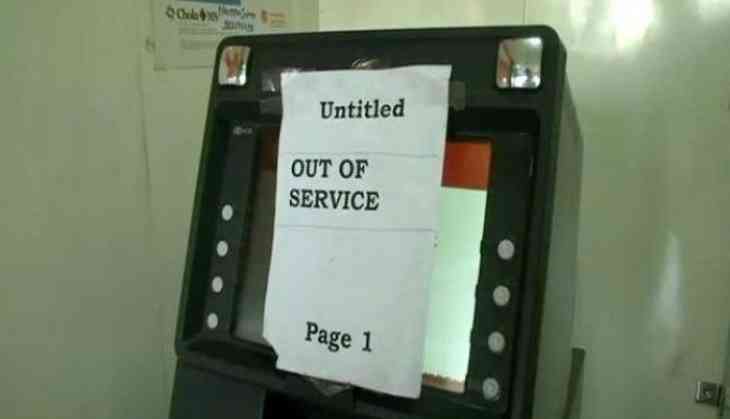 As per the report, ATMs in many states are reported 'out of service'. Many people across the country are facing a shortage of cash from last 15 days as the ATMs are not dispensing currency notes, reported ANI. “We are facing a cash crunch. ATMs are not dispensing cash. The situation has been the same for 15 days. We have visited several ATMs today as well, to no avail,” the agency quoted people as saying. Similar reports have come from other cities in several states. In Hyderabad, news agency ANI quoted people as saying they had been unable to withdraw cash since yesterday. There are similar reports from Varanasi. The cash crunch has been reported in several states Andhra Pradesh, Gujarat, Rajasthan, Uttar Pradesh, Madhya Pradesh and Maharashtra including poll-bound Karnataka. In Delhi also, people are tweeting about cash crunch at many ATMs of the Capital. Reports suggest officials of the finance ministry have held a meeting with the Reserve Bank of India (RBI) last Thursday, to take stock of the situation. Finance Minister Arun Jaitley said, "overall there is more than the adequate currency in circulation...the temporary shortage is caused by a sudden and unusual increase in some areas." Sources have told NDTV that RBI has directed banks with surplus cash to help other banks facing a shortage of funds. There is a mismatch between demand and supply of cash, say sources. The transactions at ATMs have also gone up; earlier it was Rs. 3000 on an average, now it's Rs. 5000 say sources.